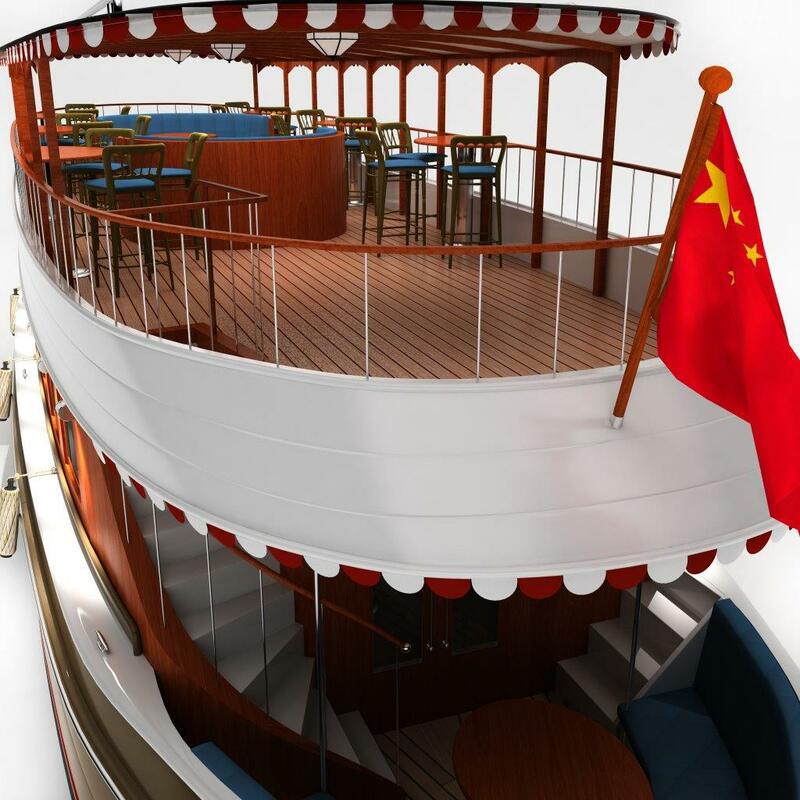 A theme of ‘Holland meets China’ realised by the eastern looking superstructure on the typical Dutch saloonboat. Due to the sub-tropical environment conditions all boats are equipped with tempered glass and a HVAC system of cruisair (Dometic). The Dutch base of the saloonboat is designed in collaboration with Cruise with Us.